Just Reduced to $185,000Charming move in ready brick home. Home has 3 bedrooms, 2 baths, open floor plan with kitchen overlooking dining & main living rooms open to screened in porch overlooking fenced back yard. Kitchen remodeled last year includes matching appliances, farm sink, 42 inch wood cabinetry, granite counter tops and closet pantry. You will also find granite counter tops in both bathrooms. 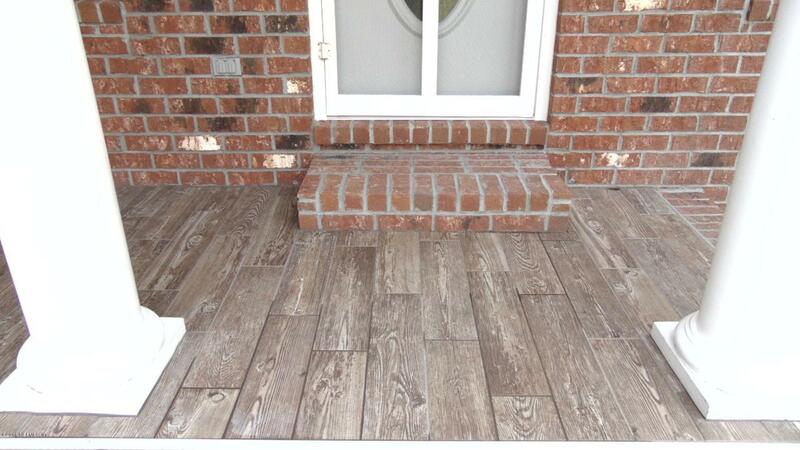 The flooring is a beautiful and contemporary combination of wood, tile and high end wood look laminate plank. Owners suite has large window overlooking backyard that showers bedroom with sunlight. Master bath has double sinks, large walk in glass and tile shower with a large walk in closet. Previous owner enclosed the garage, current owners have added to its charm.This room has its own entrance and private from the rest of the home could be used as a 4th bedroom, a guest or in-law suite, an office, a family room, an art, music or sewing room. It has those beautiful wood look floors, windows ushering in sunlight and a built in wood entertainment center. Home has a covered front porch with beautiful tile flooring, back of home has new screened porch with attached large covered open awning. 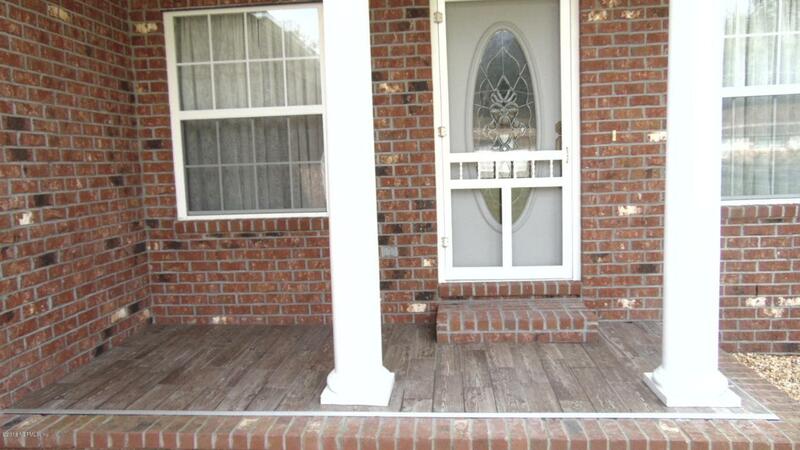 Screened porch has electric including a lighted ceiling fan and beautiful flooring. Back yard is completely fenced with a 4 foot chain link fence that includes entry gates on both sides of home. For your outdoor storage needs there is a 10 x 16 foot metal storage shed with a covered awning area for your mower and electrical hook up. Other important amenities include a newly installed 09/2018 electric heat pump HVAC system, fresh paint inside, new gutters and downspout drains, new fridge installed 03/2018, new installed sod and crushed rock landscaping adding to the curb appeal. 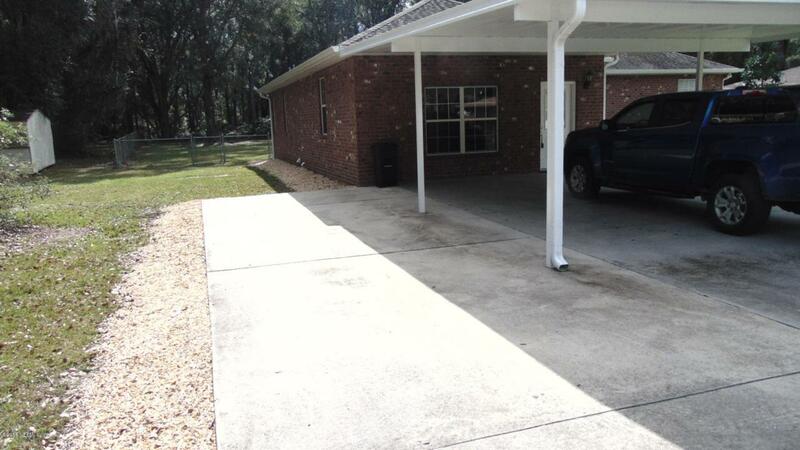 Home has a 2 car carport with an additional concrete parking slab for parking convenience when entertaining. Home has indoor laundry room with a utility sink. All lighting fixtures and plumbing faucets are new. Most window treatments and fixtures will stay (excluding those in master bedroom and living room). This home is loved, has been well maintained and is move in ready just waiting for you.